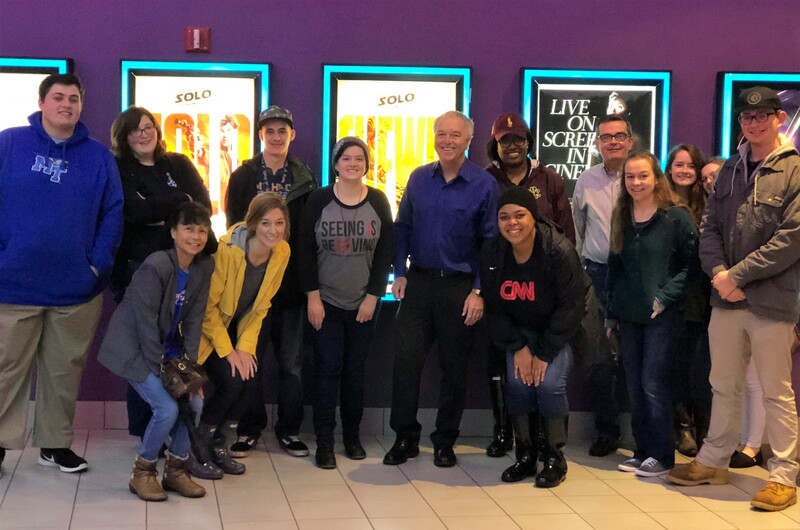 The group received a front row seat Saturday, Feb. 10, at Green Hills Regal Cinema in Nashville during a screening of “The Post,” a critically acclaimed movie that outlines events leading up to The Washington Post’s publication of classified documents surrounding the war in Vietnam. Paulson noted this is only the beginning of several special screenings and concerts so future and current students can receive the MTSU experience. “We want students’ relationship with our college to begin before they step on campus and continue long after they graduate,” he said. Last fall, MTSU launched a new online First Amendment Encyclopedia, which contains more than 1,500 essays and articles about court decisions and doctrines; people, law and events; and general issues and organizations significant in the First Amendment’s history in the United States. The encyclopedia is one of the programs of the Seigenthaler Chair of Excellence in First Amendment Studies, which MTSU established in 1986 to honor the late John Seigenthaler’s lifelong commitment to free expression. Deborah Fisher is interim director. The Seigenthaler Chair also supports First Amendment programs and lectures, including a Pulitzer Prize speakers series; sponsors hands-on journalism experiential programs for students; and houses “1 for All,” which provides teaching materials on the First Amendment.